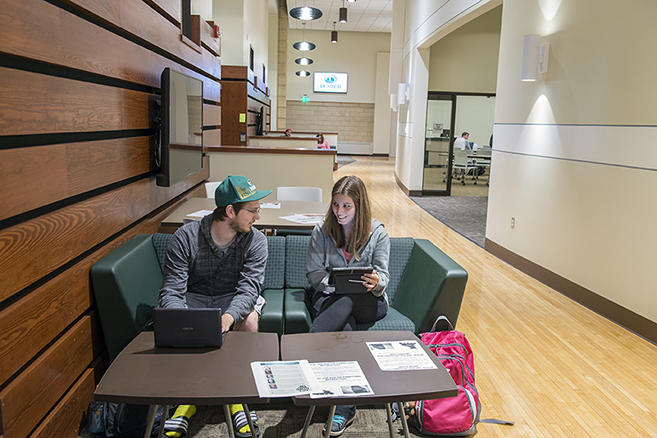 Students use a group study area on the first floor. 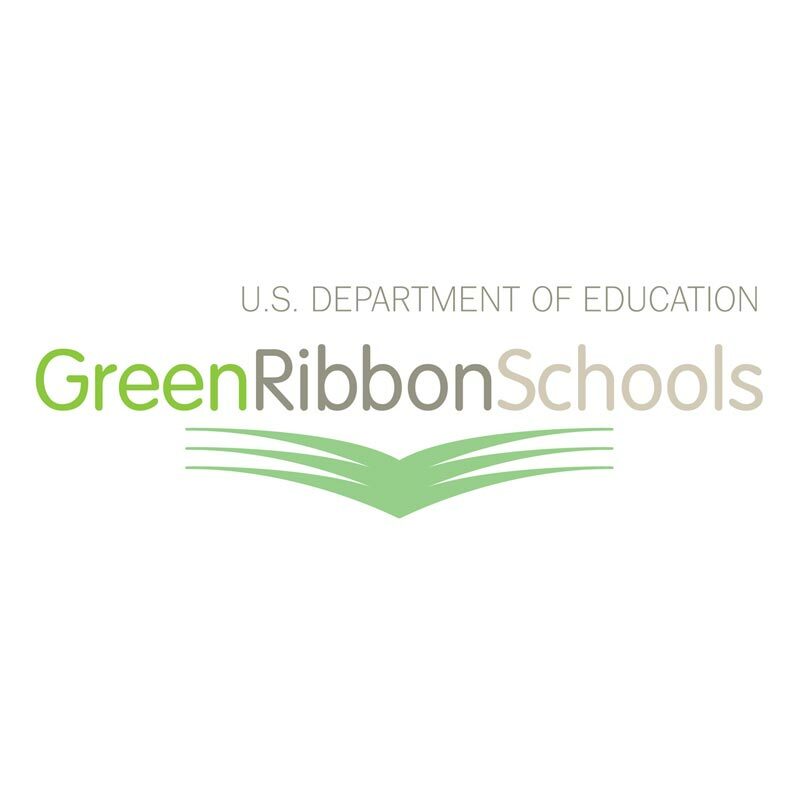 Bemidji State University is one of nine post-secondary institutions in the country to be honored with a 2017 U.S. Department of Education Green Ribbon Schools Postsecondary Sustainability award. 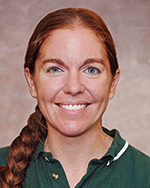 The honor places BSU among a group of 63 total honorees for 2017 — which includes 45 schools and nine school districts in addition to the post-secondary winners — being recognized this year for innovative efforts to reduce environmental impact and utility costs, improve health and wellness, and ensure effective sustainability education. Other honorees from Minnesota include Edgewood Early Childhood & La ola del lago Spanish Immersion School in Prior Lake and Pilot Knob STEM Magnet School in Eagan. With its unique lakeside location in Minnesota’s north woods, Bemidji State University has long been a champion of environmental stewardship which, along with civic engagement and leadership, international and multicultural understanding and a belief in the power of the liberal arts, stands as one of its core fundamental values. BSU is home to one of the nation’s oldest environmental studies programs. Students gain skills required to tackle important climate change-related problems, including specializations in ecosystems studies, environmental policy and planning, environmental toxicology, environmental management and geohydrology. All BSU students are required to take a course called People and the Environment, which teaches them not only about complex ecosystems but also about the social systems needed to address complex global problems. The course includes a service-learning component which gives students an opportunity to interact with the Bemidji community. 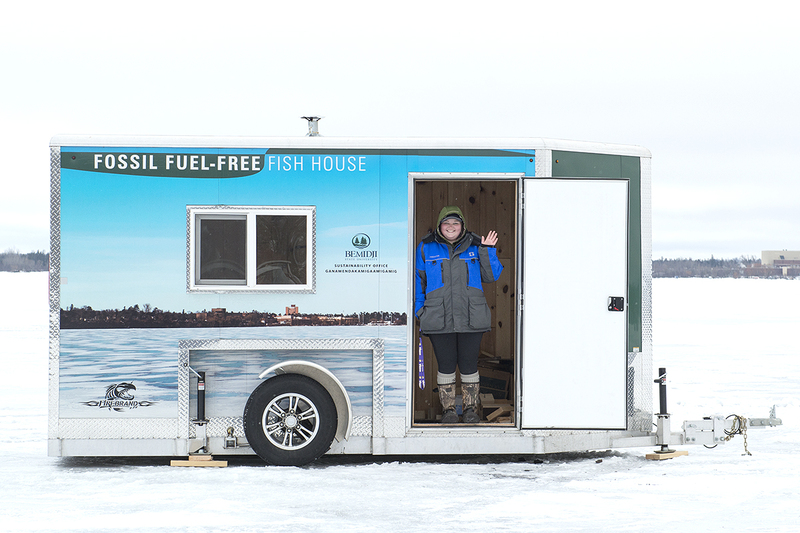 But while the university has built a framework for environmental education and engagement opportunities, leadership for BSU’s environmental initiatives has come from its students. BSU’s Sustainability Office, founded in 2008 after a successful student-led effort to institute a $5-per-credit, per-student Green Fee — which, in 2015, students increased to $7.50 — has become a regional leader in the campus sustainability movement with extensive support from faculty, staff and administration. In addition to driving campus sustainability efforts, the Sustainability Office runs an on-campus organic garden, a bike-sharing program and offers classes that teach traditional skills. 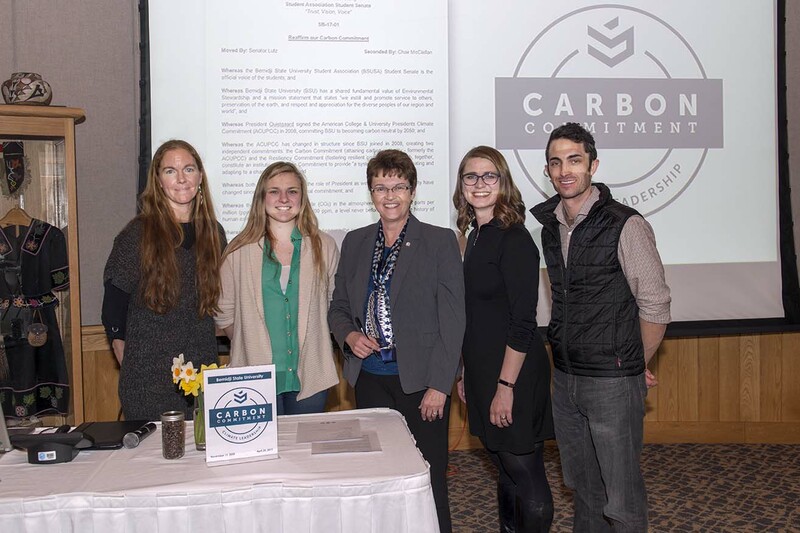 In 2008, BSU signed the American College and University President’s Climate Commitment and surpassed its interim carbon reduction goal of 2 percent by 2015, reducing emissions by 3 percent from a 2010 baseline. 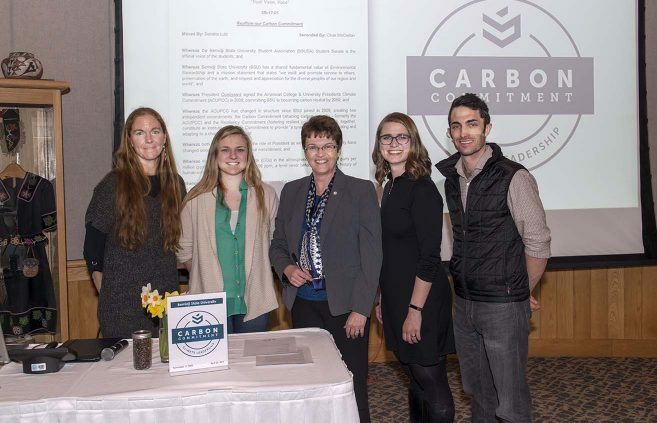 BSU reaffirmed its commitment when President Faith C. Hensrud signed the Second Nature Carbon Commitment in April 2017. 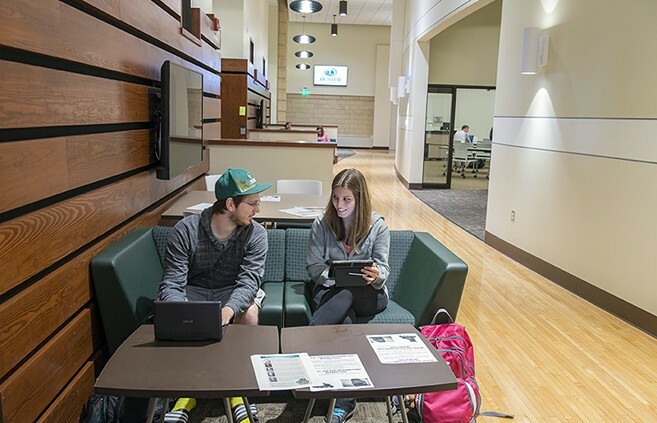 In the last two years, BSU has constructed one LEED-certified building — the newly renovated Memorial Hall, which in 2016 was a finalist for a sustainability award in the State of Minnesota’s Buildings, Benchmarks, and Beyond (B3) competition— and one ENERGY STAR-certified building. BSU and several partners, including Leech Lake Tribal College, Rural Renewable Energy Alliance, and Northwest Technical College, built a fossil fuel-free fish house, the first of its kind in the nation. BSU’s Donate, Don’t Dumpster program encourages students to donate gently used items to a FreeStore. Since it opened in 2010, the FreeStore has kept more than 10,000 items out of landfills. BSU installed a series of water-conservation devices such as low-flow shower heads and faucets which since 2010 have saved more than 15 million gallons of water. Bottle refilling stations have saved an additional 50,000 gallons of bottled water. Since 2006, BSU has doubled campus recycling and reduced waste production by 30 percent. BSU’s sustainability efforts include a significant focus on the wellness of students, faculty and staff. The university launched a broad-reaching student wellness initiative called The Best You @ BSU, and an active Living Well, Working Well committee provides programming and support for faculty and staff. Offering effective environmental and sustainability education, including civic learning, green careers and STEM connections. A total of 340 schools and 56 districts have been honored since the awards began in 2012. A post-secondary category was added in 2014, with 34 schools honored in that category. The 2017 honorees were named from a pool of candidates nominated by 28 states and the Department of Defense Department of Education Activity. Honorees represent 39 public schools, including five magnet schools and one charter school, and six non-public schools. Forty-four percent of the 2017 honorees serve a disadvantaged student body and 14 percent are rural. The postsecondary honorees include three career and technical and community colleges.